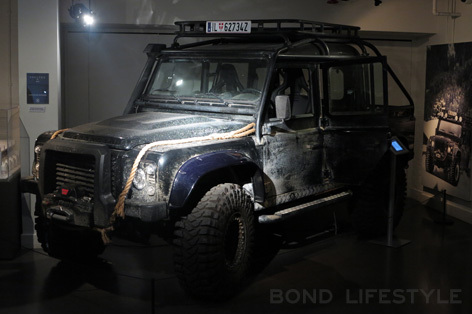 Bond In Motion, an exhibition of vehicles from the James Bond films, opened in March 2014. 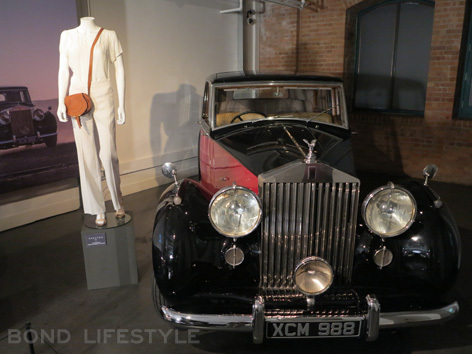 Some of the vehicles have been moved around the museum a few times since then, but nothing as big as the current addition of five cars from SPECTRE, which are displayed among costumes and props from the same film. 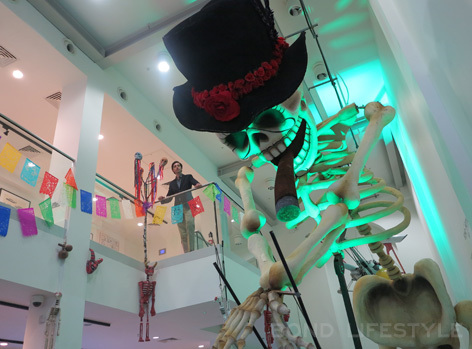 The entrance of the museum itself has been redone, and now features several Day of the Dead festival props (all used on the set in Mexico City), including a large skeleton with hat, smaller skeletons and bunting. 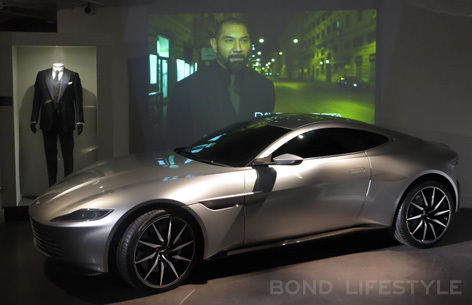 The main attraction of the new SPECTRE exhibit room is the Aston Martin DB10 used for the filming of the Rome car chase. 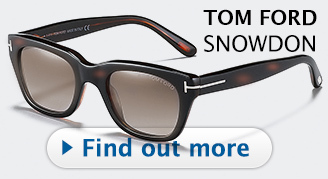 There are two versions on display of this stunning and rare car. One is a stunt vehicle which was partly stripped and set up to shoot the ejector seat scene. 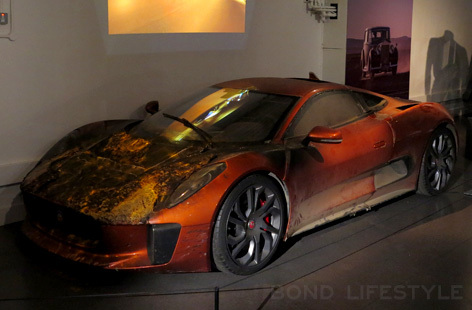 The other is a fully functional DB10 that was used for the actual driving scenes in Rome. 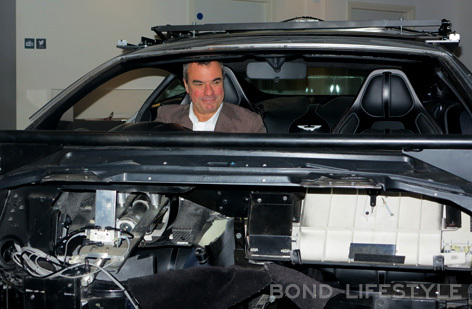 During the press opening of the exhibition on November 17th, special effects supervisor Chris Corbould talked to the press and posed in some of the vehicles. Corbould was just in the news last week for setting a Guinness World Record for the largest film stunt explosion (read more). 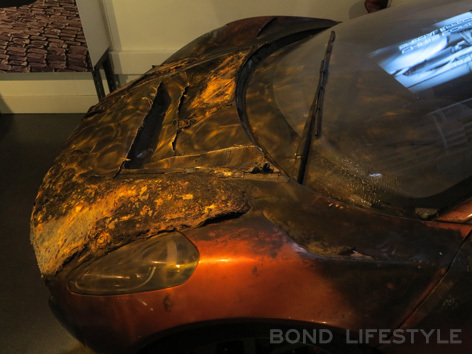 Just as impressive as the DB10s is the orange stunt Jaguar C-X75 which has been scorched at the front and part of the the body. 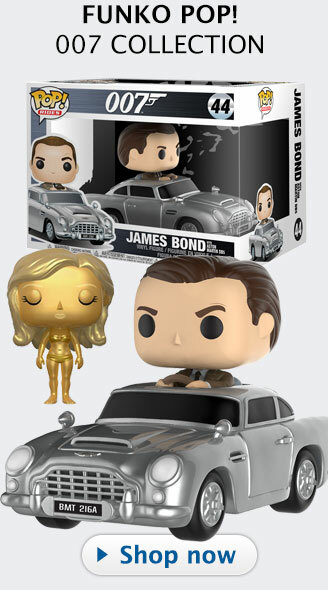 This car was used to film film the scene where Hinx's car gets burnt by Bond's flame thrower. 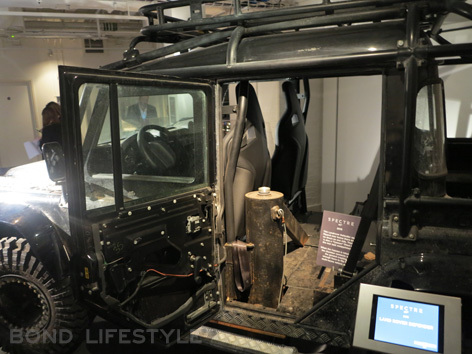 The biggest car in the exhibition is a Land Rover Defender Big Foot, another stunt vehicle, one that was used to flip over a few times. Some of the doors of the massive veihicle are missing as a result of the stunts, and there's a 'cannon' fitted in the rear seat area that created enough force for the car to flip over. And last but not least, Franz Oberhauser’s beautiful antique Rolls-Royce Wraith, used in the Sahara Desert scene where James Bond and Madeleine Swann get picked up. 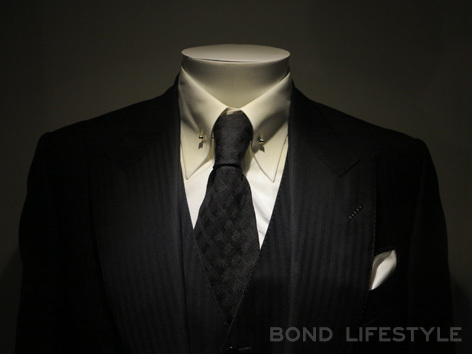 Making a trip to the museum is also worth it just to see some of the costumes of SPECTRE. 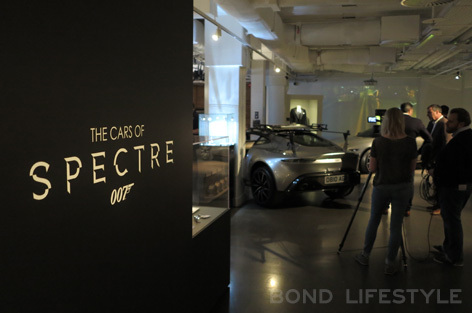 Meg Simmonds, archive director of EON Productions, selected a props and costumes to make this SPECTRE exhibition even more complete. 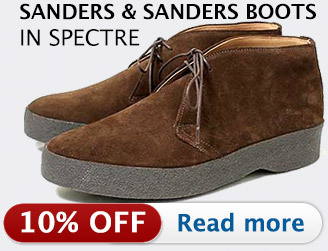 Placed next to the Aston Martin DB10 is James Bond's black Tom Ford Windsor three-piece suit with shirt, tie, collar-pin and black Crockett & Jones Camberley boots, the outfit worn in the in Rome scenes when he drives that same car. 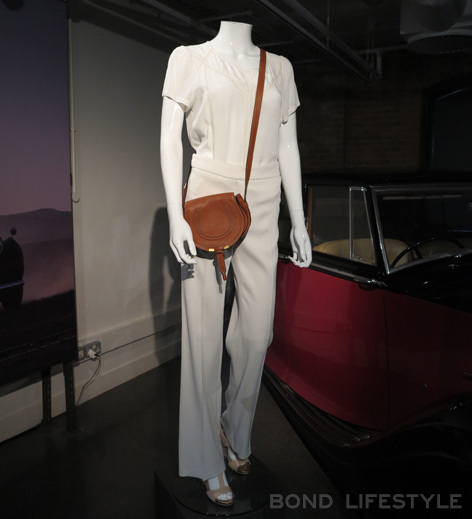 Alongside the Rolls-Royce, Madeleine Swann's white Sahara Desert outfit is displayed, including white pants, white shirt, shoes and Chloé Marcie bag. 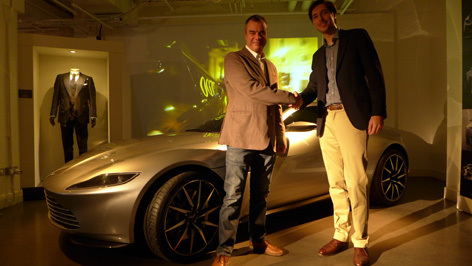 Hinx dark suit is placed next to the Jaguar C-X75. 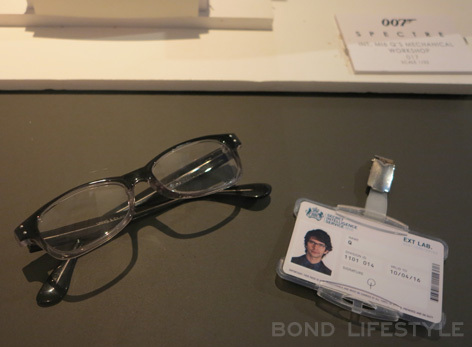 Next to a scale model of Q's lab, we can see Q's Univo 5 eyeglasses and ID card. 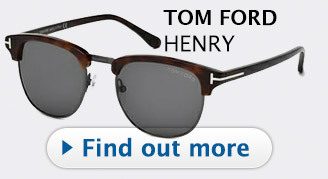 Bond's Omega Seamaster 300 SPECTRE Limited Edition and a SPECTRE Octopus ring are well matched in another display case. 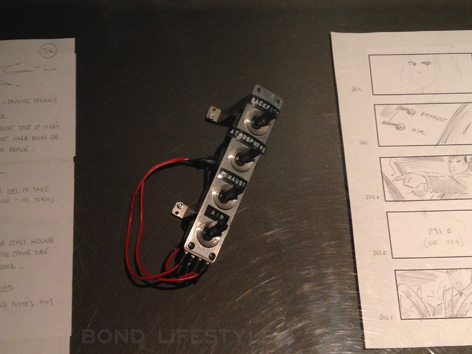 One of the other cool props is this set of buttons that Bond uses in the Aston Martin to set of different gadgets in the car. 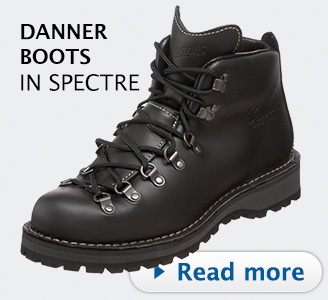 The Cars of SPECTRE is open to the public starting 18th November 2015. 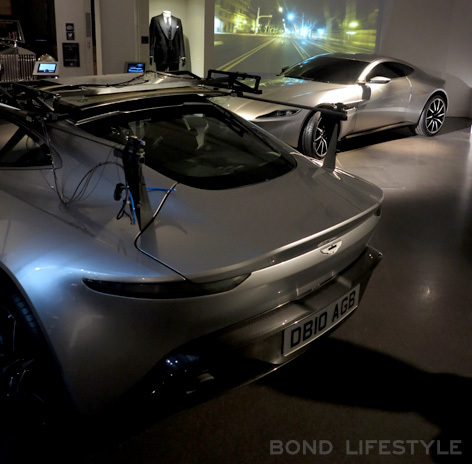 Bond in Motion is definitely worth a visit, because all the non-SPECTRE vehicles are still on display as well. 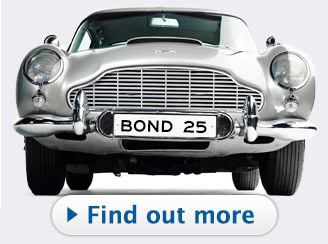 It is the largest collection of original James Bond vehicles. 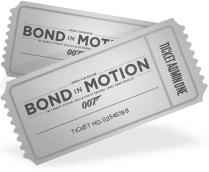 Bond in Motion has been the most successful exhibition in the history of the London Film Museum and features over 150 original artefacts spanning all 24 Bond films, including vehicles, miniatures, concept art and storyboards. 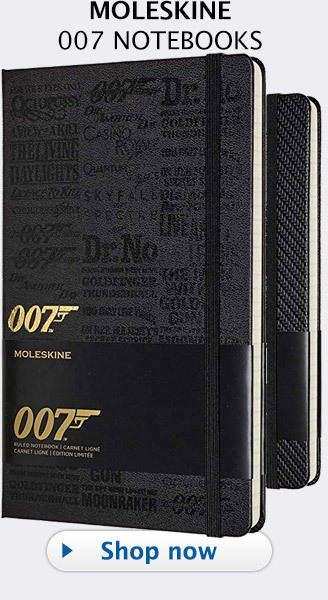 Highlights include iconic cars such as the Aston Martin DB5 from GoldenEye; the ‘Wet Nellie’ Lotus Esprit S1 from The Spy Who Loved Me; the Rolls-Royce Phantom III from Goldfinger; and the ‘Little Nellie’ Wallis WA-116 Agile autogyro from You Only Live Twice. Special thanks to EON Productions, Meg Simmonds, Chris Corbould, Jonathan Sands, Rebecca Britton and Mark O'Connell.